Chemical poisons have infiltrated all facets of our lives – housing, agriculture, work places, sidewalks, subways, schools, parks, even the air we breathe. More than half a century since Rachel Carson issued Silent Spring – her call-to-arms against the poisoning of our drinking water, food, animals, air, and the natural environment – The Fight Against Monsanto's Roundup takes a fresh look at the politics underlying the mass use of pesticides and the challenges people around the world are making against the purveyors of poison and the governments that enable them. The scientists and activists contributing to The Fight Against Monsanto's Roundup, edited by long-time Green activist Mitchel Cohen, explore not only the dangers of glyphosate – better known as “Roundup” – but the campaign resulting in glyphosate being declared as a probable cancer-causing agent. In an age where banned pesticides are simply replaced with newer and more deadly ones, and where corporations such as Monsanto, Bayer, Dow and DuPont scuttle attempts to regulate the products they manufacture, what is the effective, practical, and philosophical framework for banning glyphosate and other pesticides? The Fight Against Monsanto's Roundup: The Politics of Pesticides takes lessons from activists who have come before and offers a radical approach that is essential for defending life on this planet and creating for our kids, and for ourselves, a future worth living in. This may be one of the most important books you read this year. We are being poisoned, and this book is sounding a well-informed alarm. Read it. Get educated and then join the thousands rising up against those who care more for profit than the health of our bodies and our earth. Activism and science need one another to stay grounded in reality. Few environmental activists have done more than the poet and science writer Mitchel Cohen to connect with scholars across a multitude of disciplines in his tireless campaign to keep the natural world from turning into a toxic hell. This book, with its remarkably varied group of expert contributors, is both a monument to Cohen’s ongoing efforts and a resource for those who will be inspired by it to join forces with him. This book delivers the goods. Mitchel Cohen and his coauthors have thoroughly and effectively indicted Monsanto, Syngenta, and other Big Food corporations for poisoning our soil, our water, and our genomes. 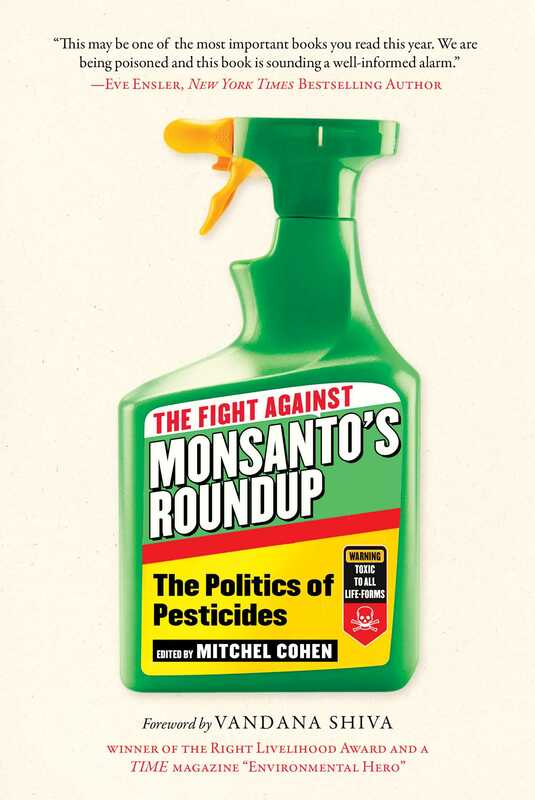 The Global Fight Against Monsanto's Roundup is an absolutely vital book for so many who have been diagnosed with diseases their doctors say were caused by vague "environmental factors. " Mitchel Cohen explains precisely what are these "environmental factors." Read it as if your life depended on it, because it does. Few battles are as important today across the planet as that to free the earth, the seas, and woods from the poisons that companies like Monsanto are pouring in them. The Fight Against Monsanto's Round up: The Politics of Pesticides is a great resource in that struggle. Read it and give it to all your friends and comrades.